If you don't label your cables, you're only making more work for yourself. Every cable should have a label on both ends, even short runs and patch cables. Why? Imagine you have to test a bunch of circuits — quickly. You scramble and unplug a few patch cables and, when it's time to reset them back to their default locations, you have no idea where each cable goes. Avoid this problem by taking a little time to slap a label on each end. Make sure your labeling system is consistent. Don't just go ad hoc with this or you'll confuse yourself and those who work for you. You have servers in a rack that are within a foot of each other. Don't slap three-foot patch cables on those servers — it not only looks bad, it's incredibly inefficient. And if you have an odd length between servers, use your termination (and testing) skills to create patch cables that reach perfectly. With that extra length on your cables, you invite tangles, kinks, and confusion. This may sound a bit over the top, but stick with a single color for your patch cables and cable runs. The only time you should break that rule is when using a specific color cable for a specific purpose. But don't use colors randomly. Make sure each color has a purpose and stay with it. That will make it easier to follow cable runs and troubleshoot issues. And yes, it also makes for a better-looking data center — which has its merits. 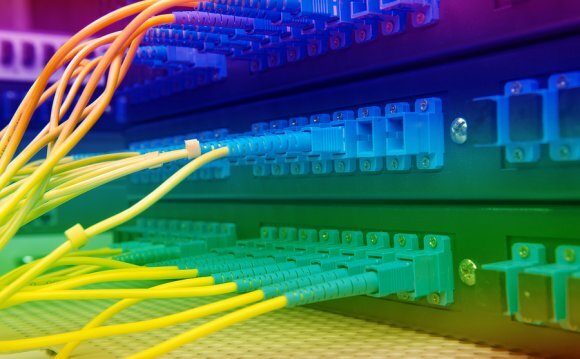 When you lay out your data center plans, do so in a cable-friendly way. Don't put a rack in a location where it's impossible to successfully run cable. Otherwise, you'll wind up with cable on the floor or hanging from the ceiling. Plan carefully to avoid later disaster. Also make sure to plan with expansion in mind. Run extra conduit, extra drops — more than you think you'll need. You may think only the servers need to be cool — but that would be a poor assumption. Cable can get warm as well, and if you have a massive amount of cable, that extra temperature can lead to disaster. Design your data center in such a way as to keep your networking runs cooled, as well as the server racks.